The member-only marketplace already has more than 7,000 MW of wind and solar listed across 67 separate projects, put up by 30 different renewable energy developers. Based on the Rocky Mountain Institute’s successful model, the Business Renewables Centre – Australia (BRC-A) launched in 2018 with $500,000 funding from ARENA, along with $150,000 each from the New South Wales and Victorian governments. At the outset, the BRC-A said its goal was to procure 1 GW of renewable energy by 2022, ramping up to 5 GW by 2030. 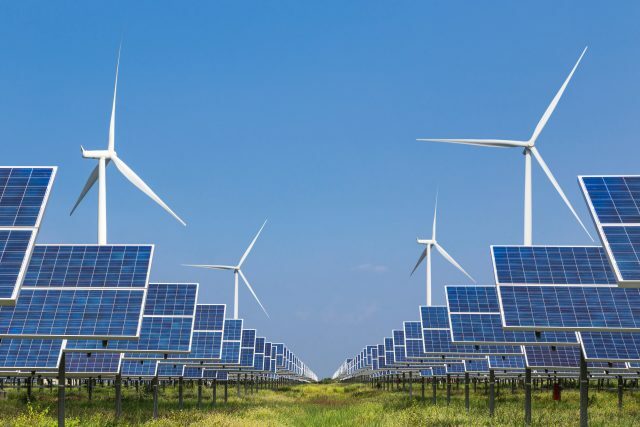 According to Program Director Jackie McKeon, with the 2020 Renewable Energy Target already met, corporate power purchase agreements are the main way for new solar and wind farms to be financed. Offering free membership for the first year of operation, the BRC-A offers a ‘Buyer’s Roadmap’ to guide the procurement of renewable energy, an online resource library and access to the new live marketplace. Early membership goals have been exceeded, with more than 100 members signed up since they launched in October last year. The BRC-A took over from the WWF Renewable Energy Buyers Forum, which operated from 2015. 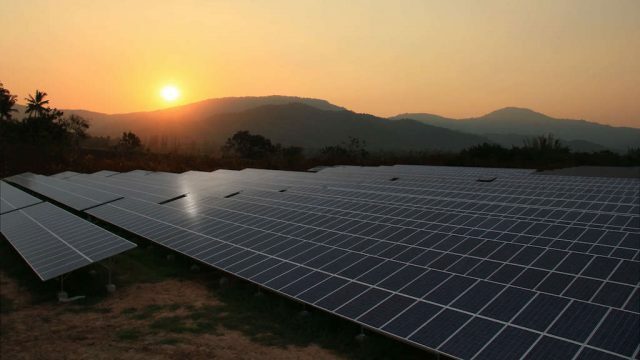 “The Centre offers an independent, one-stop-shop roadmap for corporate PPAs where buyers, developers and service providers can connect and learn,” McKeon said. ARENA investment director Phil Cohn says the new Business Renewable Centre is off to a strong start. “It’s great that there are already more than 100 members from across the electricity system,” Phil Cohn said. “Renewable generators, large energy users, retailers and service providers are looking to work together to find new ways to better utilise the renewables that are coming online,” he said. Two years ago, ARENA launched the Business of Renewables report which found that Australian corporates were lagging behind those of other countries like the United States and Europe. At the time, just 46 per cent of Australian businesses were procuring renewable energy, and for those that were it generally made up less than 10 per cent of their usage. That was despite four out of five Australians believing that businesses should use more renewable energy, and three quarters saying that they would be more inclined to buy products or services from those that did. The early success of the BRC-A shows that business heard the message, and that corporate power purchase agreements will underpin a new wave of renewable energy development. Information about joining the Business Renewables Centre – Australia is available here. We agree with International Women’s Day that “balance is not a women’s issue, it’s a business issue” – something reflected in the balance of ARENA with 53.5% of our workforce and over 50% of our executive leadership team being represented by women. This trend extends to the Board, which is made up of five women out of seven members. This hasn’t come about by accident. Guided by initiatives like the Clean Energy Council’s leadership pledge, we have worked hard to create a balanced culture free from gendered barriers to participation. Some of our staff took the opportunity to reflect on what the #balanceforbetter means to them. adopt flexible workplaces, particularly for those with caring responsibility – both for the young and the elderly. I want to recognise and thank all the women at ARENA for their passion, dedication and skill. Thank you all for your contribution to ARENA and for your part in trying to make our world a better place for ourselves and our children. I’m proud to have recently signed up to the Clean Energy Council’s Leaders’ pledge to show my support for the role of women in the renewables sector. Through initiatives like this we can demonstrate and be held accountable on our commitment to being inclusive leaders, and promote the achievements of women. It’s impossible to unpack what creates a diverse and inclusive organisational culture in a few short paragraphs; however, I am a firm believer that it begins at the top. Having a board and an executive who believe in equality and are willing enshrine this in workplace policies and training is absolutely critical – otherwise it’s simply lip service. In my experience, the companies who are willing to put the structures in place to overcome myriad barriers women face in the workforce creates a culture where women can thrive in their careers. International Women’s Day is a great opportunity to reflect on the challenges we’ve overcome, and to empower people to continue overcoming the barriers that remain. I think we’re fortunate in this industry to have a lot of senior female representation at the very top – which is hugely inspiring and helps women to know that the ceiling doesn’t exist. But most days I am still the only female in a meeting room filled by men. That’s why this year’s theme is important to me – it reminds us that there is still work to be done in balancing for the better. At ARENA I think gender is pretty well balanced in the organisation from board down, which is one of the many things I like about the organisation, and different to where I have worked in the past. I think Audrey Zibelman is particularly inspirational, firstly for her ideas, tenacity and leadership in an industry undergoing radical change, and secondly for her tenacity in keeping going in a male dominated industry. In order to create a more gender balanced world we need to continue to challenge stereotypes, address unconscious bias and create visible role models for young girls. Young girls should not want to be anyone other than themselves – After all, if you’re trying to be a man, it’s a waste of a woman! Last week, a 29 year old male I had just met told me he was recently engaged. I asked how he proposed. He told me it was his girlfriend who had proposed – not him. I felt terrible that my initial reaction was one of surprise and shock! If you want to challenge yourself, I encourage you to follow @manwhohasitall on twitter. Although the energy sector may have some way to go to achieve gender balance, it is fantastic to see so many impressive women in senior roles across the industry. At ARENA, I’ve always been impressed by how the agency fosters opportunities for young women – and young men – that might not be given to them in other organisations. I’ve also always been impressed by ARENA’s commitment to flexible working arrangements that allow for better work life balance. It is a hugely important step towards a more equal world. When I joined the Commonwealth Government and Energy Division in particular – my manager was a woman, our general manager was a woman and our Division Head was a woman. They were all terrific to work for and with. More women please! Doing more with less energy won’t just reduce costs – it also has potential to materially reduce the emissions from some of the largest energy users. ARENA recognised the opportunity by making Improving Energy Productivity an official investment priority in 2017. As part of this work, the agency was proud to sponsor the inaugural prize for Integrating Clean Energy at the Energy Efficiency Council’s National Energy Efficiency Awards. Created to showcase projects that combine energy efficiency with renewable energy, the first Integrating Clean Energy prize was awarded to the Orora Group for its Botany recycled paper mill project. Responding to a call by Orora CEO Nigel Garrard to reduce energy consumption and greenhouse gas emissions, the Botany Mill undertook a radical transformation in 2012. First opened in the 1920s, the mill is a large user of both electricity and gas. Despite a previous refurbishment and fitout with modern equipment, rising energy costs led the company to embark on the $20 million project. 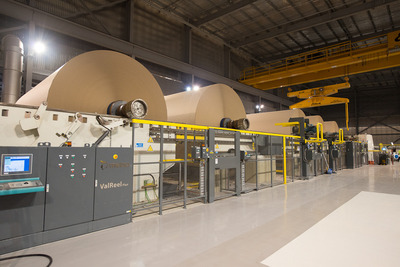 As part of the 2012 refit, Orora installed a state-of-the-art machine able to annually produce 400,000 tonnes of packaging and industrial paper from recycled materials. Not only did the project improve energy productivity by more than 10 per cent, the mill has been transitioned to run entirely on renewable electricity, with renewable heat displacing a portion of the site’s gas use. This has been achieved partly through construction of a biogas cogeneration plant, which captures methane produced through the process of treating the seven million litres of water used daily on site. Installing a variable speed drive on the paper machine alone cut consumption from the mill’s most electricity hungry process by 90 per cent, while also lifting production and lightening maintenance loads. As part of the project, Orora’s workforce was provided with opportunities to propose energy saving initiatives, achieving in excess of $150,000 in energy reductions annually from zero-cost measures. After undertaking the work to eliminate energy waste, the company entered into a renewable power purchase agreement to supply 100 per cent of the site’s remaining electricity needs. According to the International Energy Agency, greater efficiency will be needed in conjunction with a transition to renewables to meet global climate targets. Ahead of December’s COP24 Climate Change Conference at Katowice in Poland, IEA analysts Kevin Lane and Armin Mayer argued that global growth is offsetting gains in energy efficiency, but this can be reversed with greater action on efficiency. “Energy efficiency has been critical in decoupling economic growth from rising energy consumption and greenhouse gas emissions,” they say in a recent article. “Ultimately, developed and emerging economies will continue to strive for economic growth… precisely for this reason, energy efficiency will be absolutely indispensable for ensuring that these objectives are met while increases in global energy consumption are kept to a minimum,” they said. ARENA CEO Darren Miller says the agency sees an opportunity to address both the supply and demand side of the energy equation as part of the renewable energy transition. “ARENA is supporting large energy users to pair renewables with improvements to energy efficiency,” Mr Miller said. “Supporting large energy users to improve their productivity will accelerate the uptake of renewables and also make the grid more responsive and reliable,” he said. 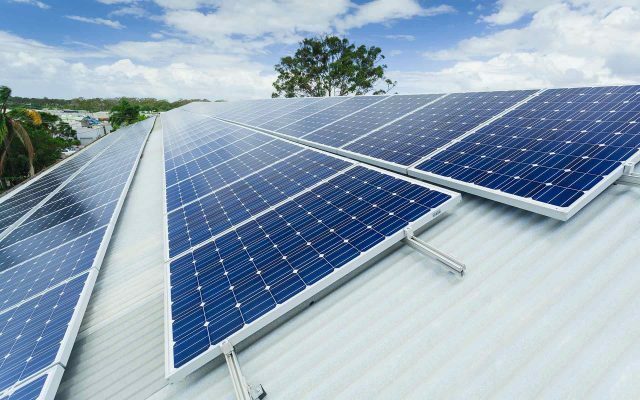 Sydney electricity distributor Ausgrid says it can, receiving $1 million from ARENA to work with households and businesses to become more energy efficient and install solar panels. ARENA’s funding will expand the Power2U program to 15 suburbs across Sydney, including Bankstown, Alexandria, Glebe and Pyrmont. The City of Sydney is chipping in an additional $750,000, bringing the project’s total budget to $3.5 million. The project falls under ARENA’s work to improve energy productivity – an investment priority that aims to support projects that manage demand as the transition to renewables accelerates. Targeting people in the community that have been slow to adopt renewables and are hard to reach, the program aims to reduce the need to replace ageing electricity infrastructure. This will be achieved by lowering demand on the grid, with a particular focus on permanently curbing energy use during the day. What kind of impact can efficient devices and LED lights have, in conjunction with rooftop solar panels? Ausgrid CEO Richard Gross says Power2U will help to reduce energy use, while making the grid more sustainable and providing hip pocket relief. “Our network has the second lowest rate of solar take-up by customers due to the high number of apartments and businesses in our footprint,” Gross said. For a growing country like Australia, there are a spectrum of opportunities to make better use of the energy we generate. Global energy transition experts the International Energy Agency say the importance of improving efficiency cannot be underestimated – they believe it will be a vital element of the transition to renewables, if we have any hope of meeting global emission reduction targets. The numbers show how important it will be to do more with less across the energy network. Data from Australia’s Bureau of Statistics shows that our population has grown by 3.75 million people in the last decade, and we are the only country in the developed world to have enjoyed uninterrupted economic growth for 27 consecutive years. Despite the rising population and increased reliance on digital technology, Australia’s energy demand has been in decline since 2009. The Australian Energy Market Operator’s March forecast predicts that demand is likely to remain relatively flat for the next twenty years. Despite our growing population, AEMO expect that residential demand will actually fall, thanks largely to new energy efficient appliances and rooftop solar. The story is similar with energy demand from business. AEMO predict this will also remain flat, partly because of advances in energy efficiency, but also due to weakening demand for energy from the manufacturing sector. How does this help with the transition to renewables? Reducing demand by enhancing productively will help to make the switch an energy system underpinned by renewables cheaper, easier and faster. In practice, using energy more efficiently could allow investments in expensive and unnecessary infrastructure to be delayed, or avoided altogether. Using energy more wisely could reduce peaks in demand, smoothing usage across the day. 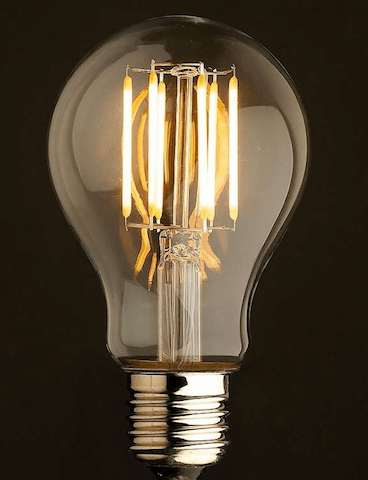 One home shifting to efficient light globes won’t make a noticeable difference at a network scale, but everybody working together across a city or state can put a dent in demand, particularly when efficiency measures are partnered with solar panels. Reductions in demand for grid electricity as a result of the growth of rooftop solar are already apparent, according to AEMO. ARENA CEO Darren Miller said the scheme will show the potential for efficiency technology to be combined with renewables to reduce energy costs and reduce load on network infrastructure. “The project will provide Ausgrid and other distribution network service providers around Australia greater confidence in the ability of renewable and efficiency solutions to offset network expenditure, which has traditionally been very difficult to address with demand management. “Ausgrid’s program will encourage greater uptake of low emission technologies and solutions, reduce energy costs for participating consumers and reduce demand on Sydney’s grid,” he said. At A-Lab Incubate 2018, it seems the best ideas are hatched from both. Held at Melbourne Zoo, ten teams selected from 40 applications came together over three days to work on world-first projects and initiatives to create Australia’s clean energy future. ARENA’s A-Lab events are commercially driven workshops that bring together industry professionals with first-hand knowledge of Australia’s energy system. Participants find allies, build alliances and strengthen their commercial acumen to innovate and grow the renewables sector. Projects at Incubate 2018 ranged from increasing rooftop solar and storage integration in multi-metered buildings to improving access to renewable energy for low-income households. One of the best features of ARENA’s A-Labs is the focus placed on cross-sector collaboration. Access to industry professionals, energy retailers, distributors, market operators, tech gurus, regulators, lawyers and investors enable ambitious projects that require a broad range of expertise to flourish. Alex McIntosh, Manager, Business Development and Transactions at ARENA said the beauty of this collaboration is evident during the event and through the ongoing value these connections create. “One of the unique aspects of A-Lab is our ability to bring together all key stakeholders within industry in the one room. Teams appreciated the opportunity to cross-pollinate ideas and smash their assumptions by testing and refining concepts with leading industry experts,” Alex McIntosh said. On Day 2, teams tested their approaches with to discern if they were technically and commercially viable by engaging in direct customer interviews and a high-energy “speed dating” exercise to promote their project to industry experts. The final challenge was to put the learnings into action. As the saying goes “Ideas are cheap. Execution is everything.” After two days of ideation and collaboration, Day 3 saw teams quantify the value of their projects. Following a panel discussion with seasoned investors from ARENA, CEFC, Giant Leap and Southern Cross Ventures, each team was each given five minutes to pitch their project to the “Dolphin Tank”, an expert panel of the industry’s best and brightest including ARENA CEO Darren Miller, Tom Butler from AEMO’s Energy Strategy team and investor John Clifford. After 15 A-Labs, 14 projects have been successful in receiving funding from ARENA with many more projects in the pipeline. Three quarters of Australian consumers would be, according to research ARENA undertook last year. Building on the finding, ARENA has announced $500,000 in funding to help create Australia’s first Business Renewables Centre (BRC-A). Partnering with Climate-KIC Australia, the World Wildlife Fund Australia and the Institute for Sustainable Futures at the University of Technology Sydney, the new initiative will help businesses and councils to make the transition to renewable energy. The Business Renewables Centre will provide online resources, inexpensive training and advice, face-to-face events, and build a network of renewable energy buyers and sellers from across industry via an online marketplace. Drawing on the successful Rocky Mountain Institute model, the centre is setting out to procure 1 GW of energy from renewables by 2022, growing to 5 GW by 2030. Supporting Australian businesses and councils to make the shift through corporate Power Purchase Agreements, the new centre has also received $150,000 each from the Victorian and New South Wales governments. With 260 member companies, the Rocky Mountain Institute’s BRC has completed more than 11,000 MW in renewable energy deals since its launch in 2015. Ninety-six per cent of total US non-utility renewable energy deals involved a BRC company. Last year, ARENA released the Business of Renewables report, finding Australia’s biggest businesses were falling behind their global peers in transitioning to renewable energy. The report also uncovered a vast amount of untapped goodwill for businesses willing to make the switch. With three quarters of consumers saying they would choose a product or service powered by renewable energy, the next question was how to support businesses to transition. 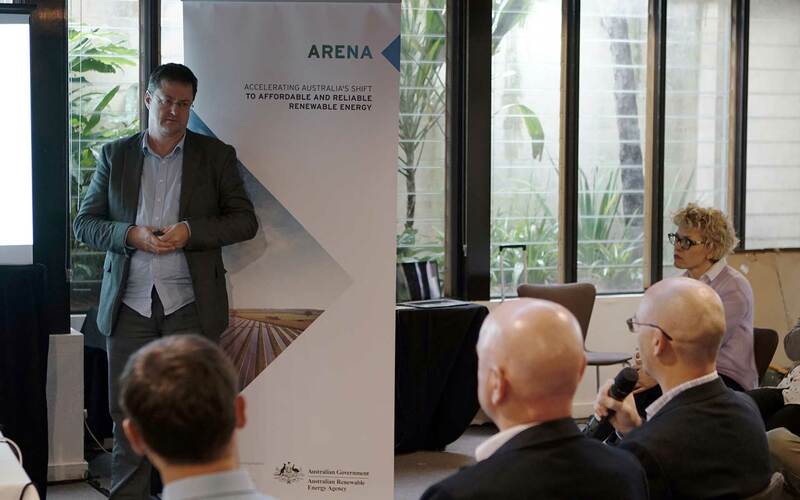 ARENA CEO Darren Miller said the Business Renewables Centre will help energy buyers meet the growing expectation that we deal with the challenge of climate change. “The Rocky Mountain Institute has proven how effective this model can be. Once up and running, Australia’s Business Renewables Centre will make it easier for companies and councils to enter the renewables market. “The future for energy looks very different today. There are likely to be a lot of smaller renewable generating facilities developed, often by non-generating entities. “Clearly there is demand for the energy, and soon there will be somewhere for businesses and councils to go to help them make the transition,” he said. WWF Australia CEO Dermot O’Gorman said that the Business Renewables Centre will build on the success of WWF’s Renewable Energy Buyers Forum. “The future of renewables in Australia looks positive because it makes sound business sense,” Dermot O’Gorman said. With more than 230 member organisations, the WWF Renewable Energy Buyers Forum has brought generators, retailers and energy users together since 2015. Discussing everything from the opportunities and impediments to making the switch to renewables, to technological and price barriers, the Forum has uncovered a market for the services offered by the Rocky Mountain Institute. “Contracting for long-term renewable energy will save customers money and will support growth in renewable energy infrastructure across Australia,” Mr O’Gorman said. The new BRC-A will build on the Forum’s success, supporting renewable energy developers, service providers and corporate buyers to improve access to renewable energy and lower the cost of transactions. Climate-KIC Australia CEO Christopher Lee said that the Business Renewables Centre will go beyond the existing offerings to build capacity amongst renewable energy developers and buyers. “The online platform provides a marketplace where developers and corporate buyers can get a feel for what might be out there, as well providing a suite of technical materials, from case studies, primers and guides and pitch decks,” Mr Lee said. 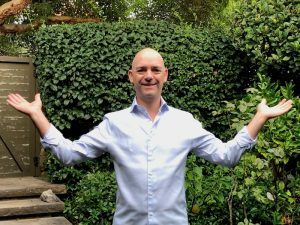 “In addition we will rollout deeper training than has been offered previously – basically we’re going to run two day ‘boot camp’ events for buyers and developers to take them through the details. Do a deeper dive on the how to’s, managing risks and avoiding usual pitfalls, and work through some real life scenarios. That’s where the real strength of the offering lies. “We know from lots of experiences that online sites often don’t get far at all, and putting a load of information on the web doesn’t translate into action on the ground,” he said. “It’s that training piece that’s really important. What we are seeking to do is extend the work that WWF has done in their buyers forums, the show and tell activity, that has people thinking – yes, we can do that. “We hear about the successful ones, but we know there are a lot of corporate PPAs that have not seen the light of day because they’ve been very complex or they’ve got to the CFO and they’ve said they don’t understand it,” Mr Lee said. The local council, Indigo Shire, had just hosted a community energy forum. Inspired and excited, the group of about 10 residents had come together afterwards on a cold night in 2014 to toss around ideas about how the one-time gold rush town could increase its usage of renewable energy. And as they began talking, an idea built. They decided to be ambitious and set a high target; by 2022 they would power their part of northeast Victoria using 100 per cent renewable energy. And Totally Renewable Yackandandah – or TRY ­– was born. 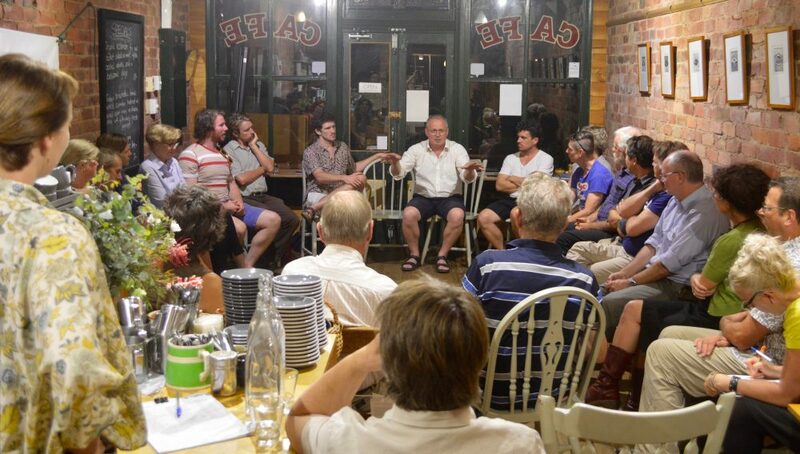 Totally Renewable Yackandandah Executive Officer Matthew Charles-Jones, who was playing host that night, describes the decision as one driven by a feeling rather than a concrete plan. “At the time that we set the target we had absolutely no idea on how to get it,” Mr Charles-Jones said. “This was formed by heart rather than a dispassionate statement by the bureaucracy or by a government or an organisation. What followed was months of informal conversations, followed by information sessions among friends and neighbours to spread the word. Facebook, the local paper, stalls at the farmer’s market, information tables in front of the newsagent every Saturday, and interviews with community leaders were all used to make people familiar with the idea. Community members pack into a renewable energy workshop. IMAGE: TRY. The plan was to have an “intense strategy” to push energy efficiency by creating a high density of households and businesses using rooftop solar and storage batteries and to do this by taking advantage of their collective power through bulk-buys. Installing mass-scale solar hot water systems is also on the cards. Community halls have been offered an upgrade to more efficient LED lighting. And an energy fund has been established to lend money to community projects to increase energy efficiency. Mr Charles-Jones said by the end of November 2017, more than 40 per cent of households in the town will have a solar rooftop system (the national figure is around half that). “We operate on the principle that we have about a 90 per cent-plus level support across Yackandandah,” he said. Mr Charles-Jones said the group plans to generate more electricity through renewable energy than needed to run the town. Also in the pipeline is a mini-grid and a community energy retailer to allow the townsfolk to share and trade energy as well as a micro-computer, Mondo Ubi, to monitor people’s energy usage among other things. A small ‘solar grove’ with a gathering of solar panels would then be used to top up any remaining energy needs. Cathy McGowan, the Independent member for Indi has been advocating for Yackandandah’s renewable energy project. “Everybody has got a role to play [in meeting renewable energy targets],” she said. 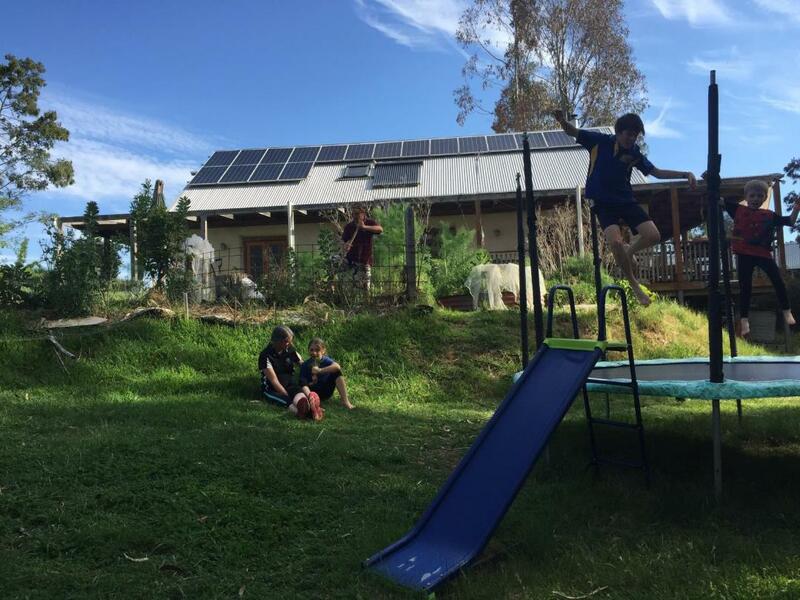 The Jones family have enjoyed being part of the renewable energy push. IMAGE: ARENA. Donna and Nigel Jones moved into the town seven years ago with their three children Finbar, 12, Maeve, 9, Lenny, 5. Ms Jones said what attracted them to the town was the thought of living in a “good community” where the “kids know most of the people they see down the street”. So when TRY became a reality, the family decided to install a solar rooftop system and a battery. But, Ms Jones said the decision was not financial as they already lived in a sustainable building. “We actually made a conscious choice to build this house in such a way so that our energy consumption would be quite low,” she said.